In Europe, the Volkswagen Polo, Golf, Passat, Tiguan and T-Roc have been upgraded with the German automaker’s new and improved 1.5-liter TSI engine. It’s a different story in the US, however, as certain VW models such as the 2019 Jetta sedan are still using the automaker’s outdated 1.4-liter four-cylinder unit. 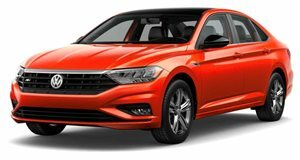 This could soon change, however, as Volkswagen is finally considering adding the improved 1.5-liter TSI engine to its US lineup according to Wolfgang Demmelbauer-Ebner, executive vice president and chief engineering officer for VW’s North American Region, in an interview with Wards Auto. A final decision hasn’t been made yet, but if it does come to the US it won’t be offered in the exact same configuration as the European spec since VW’s engineers are already working on a more powerful version. If the new and improved 1.5-liter TSI does eventually launch in the US, you also probably won’t find it powering the Atlas three-row SUV as Demmelbauer-Ebner said this would be difficult to justify since around 90 percent of Atlas models are sold in the US with a VR6 V6 unit. In Europe, VW’s updated 1.5-liter high-compression engine, known as "evo,” made its debut in the Golf back in 2017. It produces 148 horsepower and 184 lb-ft of torque, while the more economical version produces 128 hp and 147 lb-ft of torque. It operates on the Miller combustion cycle, which helps improve efficiency and reduce emissions and heat by allowing the intake valves to remain open during part of the compression stroke, and is around 48 pounds lighter than its predecessor. It’s the first high-volume, mainstream gasoline engine that uses a variable-geometry turbocharger, and plasma-coated cylinder liners also help reduce friction.